I’ve held on to this for quite some time now , it’s missing pedal rods and a corner piece of timber . Could be restored nicely . Wondering what it’s worth to people out there , willing to let go for the right price. 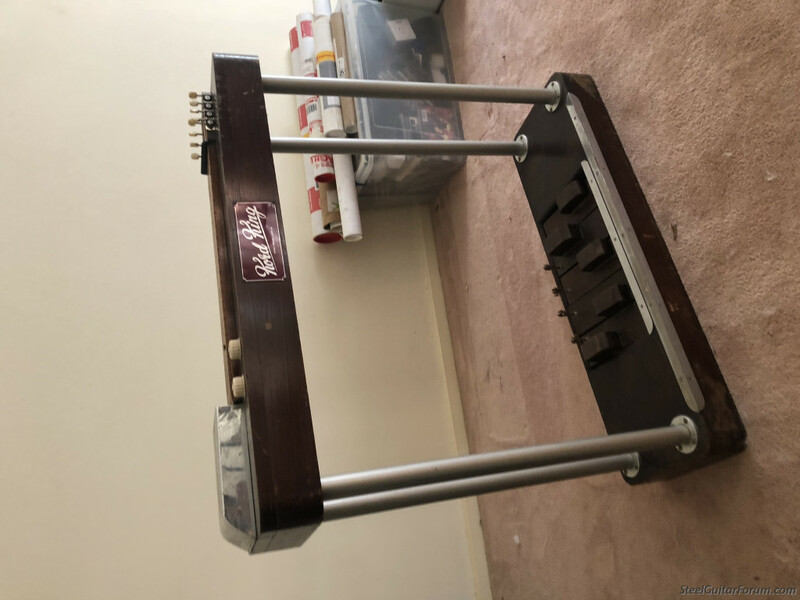 Here’s a couple of links that give the story behind this pedalsteel. What is the "right price"? You may find some interest here http://brissteelguitar.com/ or I could be vaguely interested at a fixer upper price range. That’s up for discussion if you would like to email me. No thanks mate, not interested in those sort of games. Name a price in public and I will consider it or make a counter offer. Also Matthew there is a "For Sale" section in the forum here if your only interest in posting is to sell it. I’ll keep it for all I care, im not playing any games. If it means something to someone and they make an offer I’d consider selling it. It’s more for curiosity and to maybe go to someone who will give it some love.